Who is left to tell? We pay little attention when people say “take care”, but it is such a considerate thing to say. Taking care of ourselves is our sole responsibility. There is no safety net but our ability to catch ourselves when everything falls apart. There is no shelter but the warmth of belief when everything is cold around us. I often think of the book Left to tell by Immaculée Ilibagiza. It is a true story about the genocide in Rwanda 1994 when 800 000 people of the same kind, but separated by what we call race, savagely slaughtered each other, while the rest of the world remained passive. 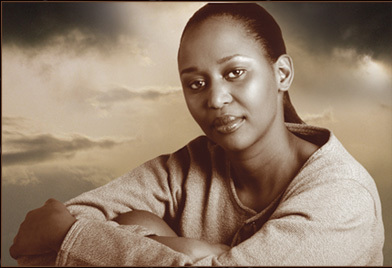 Immaculée was one of very few tutsis that managed to survive. Crammed inside a bathroom the size of a wardrobe with seven other women for 91 days, she heard the massacre and the slaughter of the rest of her family. And as unspeakable evil spread around her, she had to dig deeper and deeper to find the place of compassion and hope inside her soul. She hung on to the little light that remained within her and managed to find strength enough to make a decision, that she would learn English so that she could tell the story. She now works for the UN in New York and her book has become a bestseller. Her story displays not only what happened, but the best and worst aspects of humanity, and our ability to embrace life in the darkest of times. We think we have it so hard, until we see the darkest side of life. Then we can realize how truly grateful we should be for a small stuggles.